The recent update to Esri Vector Basemaps deployed new map content from contributing counties, cities, and campuses. 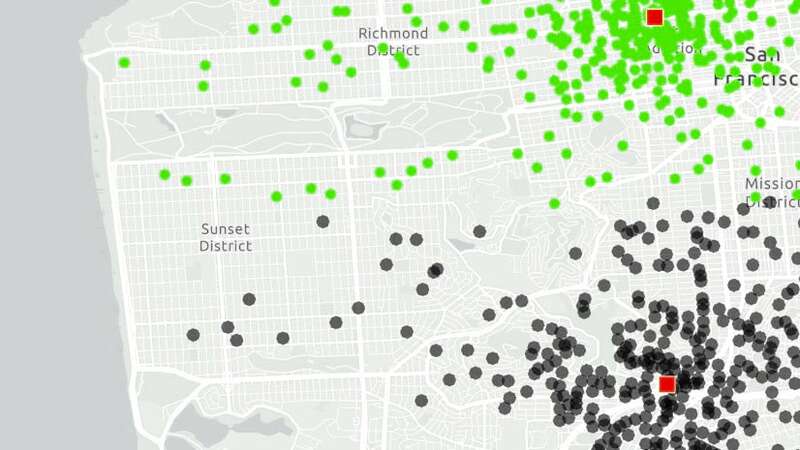 They supplied data through our Community Map Program to enhance our maps. Contribute your organization’s local, authoritative content through this program. Esri integrates your data with other providers and publishes the tile set as the ArcGIS Online vector basemap. Each link on a language name provides a group page of web maps. 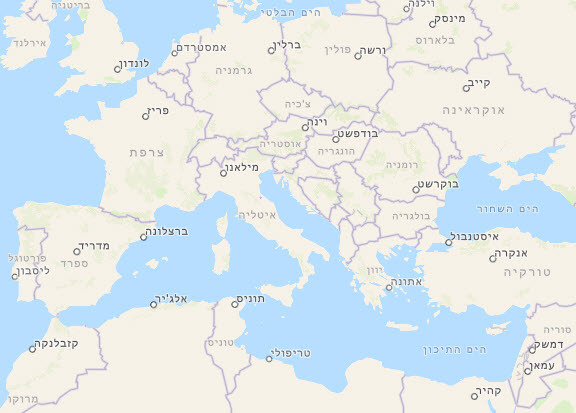 To get localized language maps in ArcGIS.com, change your organization’s Region and Language in the General settings. Make sure Esri vector basemaps are set as the default gallery. This option is in the Map settings. More language updates are planned in upcoming releases. Translations are expanding across more feature classes and more scales. Want to display one of these localized languages in a different vector style? The tile set includes all the language data to do so. 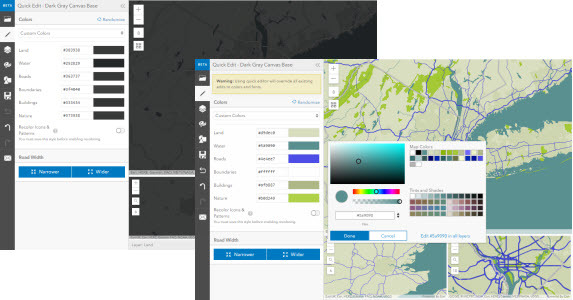 Make a copy and save the desired Esri tile layer to your account. Through json edits, set the language of select feature classes in your map. See the Esri Vector Basemap Reference Document (v2) for details on how to customize the map. The document includes a layer list with 2-digit language codes needed when editing json. The reference document also provides details on how to customize the vector basemap boundaries and names to display a preferred world view. Disputed boundaries can be removed or changed to non-disputed. 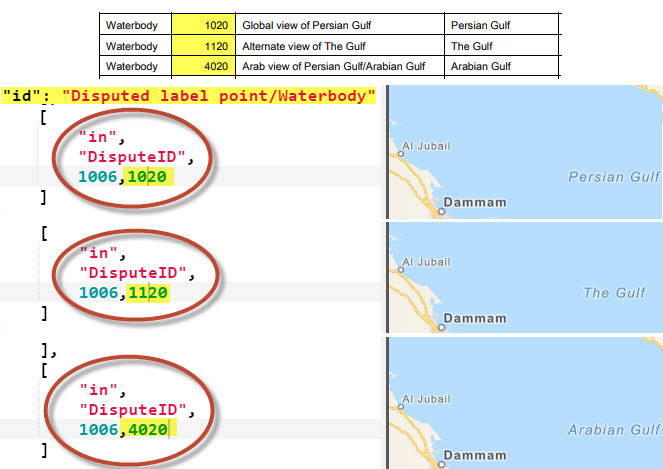 Alternate names for select features can appear on the map by json code modifications (for example, The Gulf -or- Persian Gulf -or- Arabian Gulf). In addition to customizing the language or geopolitical view of your vector basemaps, you can also edit overall cartographic styling. 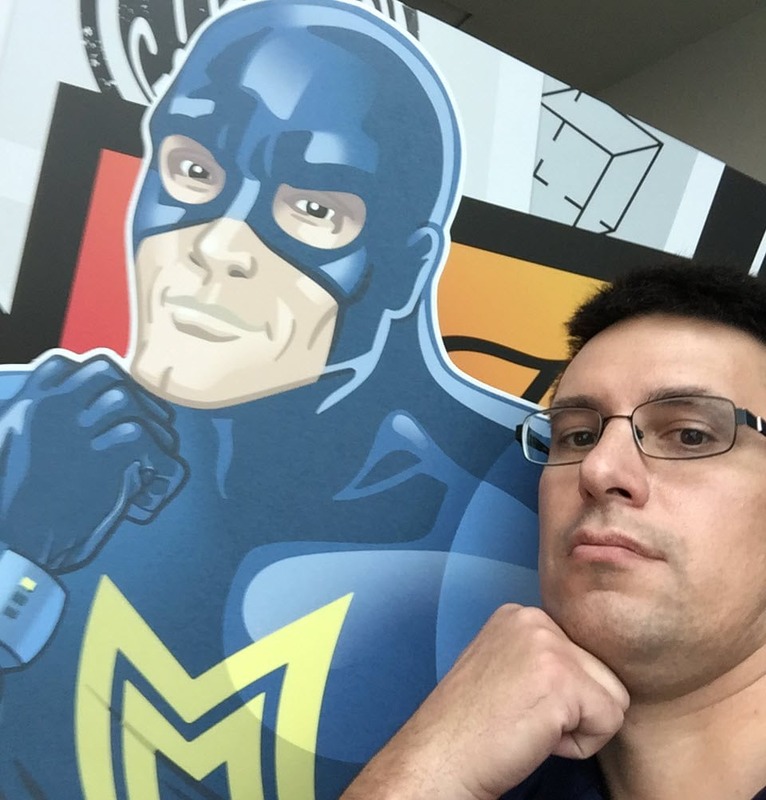 Change the root.json code in a text editor and update your tile layer. Alternately, try the ArcGIS Vector Tile Style Editor (beta) app for a user-friendly experience to change your map’s look. The Quick Editor function changes features en masse. In contrast, the editor also has an Edit Layer Styles option for a deep dive into individual map specifications. Change style settings for text, sprites, lines, polygons, and point features with the editor app. Edit one of the Esri vector basemaps or use it to edit your own vector tile layer created through ArcGIS Pro. Have you ever seen a problem with Esri Vector Basemap data? Report issues directly on this Feedback Map. Our team reviews your comments and considers the update for one of our frequent releases. Finally, ask questions, share updates, and browse the space for the content you need! Visit the ArcGIS Living Atlas of the World product page.